Replacement:DEV-11930. We've released a new starter kit with our own SparkFun RedBoard, go check it out! This page is for reference only. 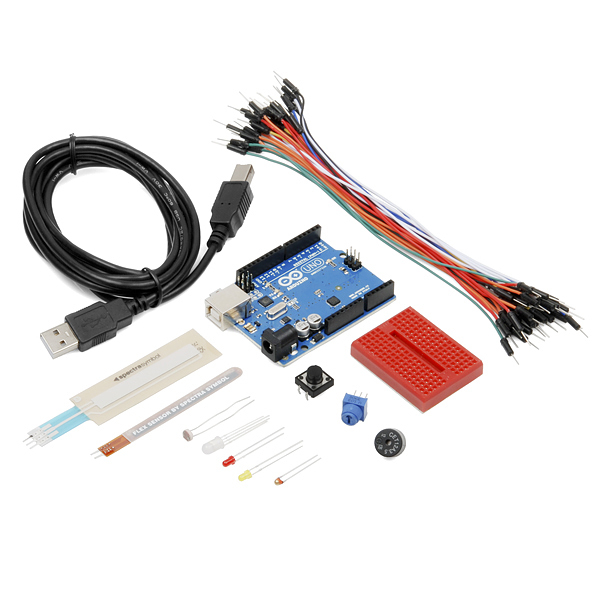 The Arduino Starter Kit is a great raw parts re-fill for beginners and weathered professionals alike. This version comes with the new Arduino Uno. Also included is a multitude of inputs, outputs, and sensors to get your workbench back up to par. If you're just getting started with Arduino, we recommend the SparkFun Inventor's Kit that comes with a printed manual. 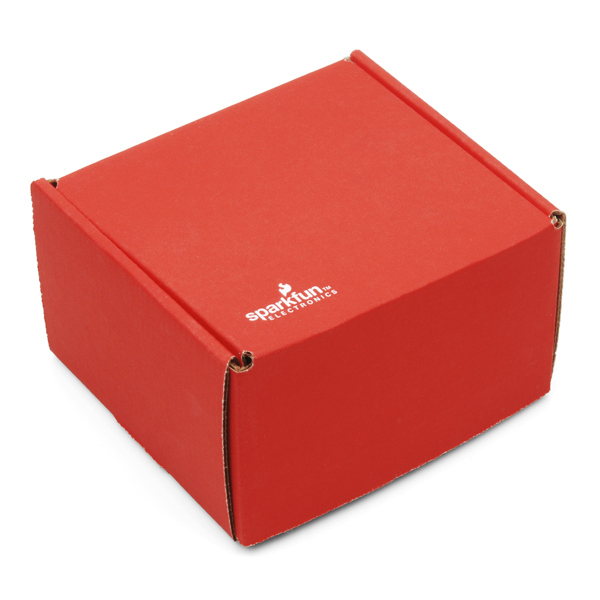 Looking for that perfect SparkFun gift? Check out our Gift Guide! Want/Need some of the things in this kit but not all of it? Check out the Parts Wishlist. I just bought this product (through Amazon). It looks like fun! One problem...I was expecting a "starter kit" to come with some information on "getting started". My bad on that expectation. I see that your "Kit includes" section above does not mention any getting started guide or project cookbook. The package I received contained some warranty info, but not even a spec sheet for the Duo R3. I was hoping to have it programmed to make an LED blink today, but I'm at a dead end from the get go here. I'll go shopping for a book now. Maybe Amazon has something useful. Glad you were able to find the Arduino homepage. This is a great resource, with a lot of information. You may also want to take a look at our SparkFun Inventor's Kit Guide. It lists some great example circuits that you can build with your new starter kit. Thanks for the reply Tony. Getting started was (almost) easy. I have my blinking LED now and it's not even dark here yet, so I am happy. I'll check out the Inventors Kit Guide too. Hey, I just ordered a few of these for a club I teach, any ideas for some cool projects? Hey, sorry for the delay on answering your comments! Just for future reference, you can always email us at techsupport at sparkfun dot com for suggestions if you need them. There are several different resources for Arduino projects. Try checking out the Arduino home page. The playground and forum there have a lot of example code and wiring diagrams for many different parts and projects. You can also check out our SIK Guide, which lists some example starter circuits for controlling LEDs and interfacing sensors. Also, we are constantly updating our Education site so check that out for new information and projects. Does anyone have a few tutorials for this? I bought 17 kits and parts I received are not the ones shown here. I think I deserve an explanation! Agreed! Please contact Customer Service, and we'll figure out what's going on.